ROOTS TO TIPS PROGRAM IS FULL. PLEASE EMAIL TO BE PUT ON THE WAITLIST. The wild plant training programs at CMHS are field based, designed to expand students’ working knowledge of local medicinal plants, nutrition, and plants’ effects on the body systems. The programs cover identification, materia medica, sustainable harvesting methods, medicine making, basic anatomy and physiology, formulations, and so much more. 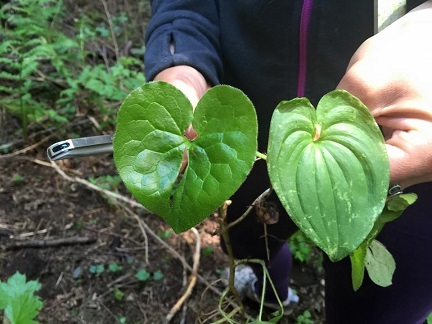 Gain a deeper understanding of the wild medicinal and edible plants of the Pacific Northwest, and acquire valuable experience in making and using herbal medicines for home or business. You’ll learn more about wild plants, the microbiome of your body and macrobiome of the world around you, how plants work in our bodies on a cellular/tissue/organ/system/total body level, and about yourself than you ever thought possible. A common thread that is said by the apprentices is that lives are changed. Sometimes very surprising decisions are made, paths take turns, and new directions are found. 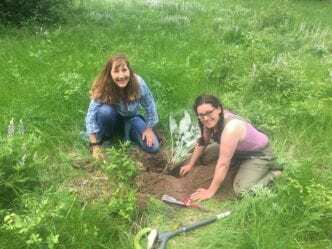 At Cedar Mountain Herb School, we put the WILD in wildcrafting! And best yet, you’ll be with people from your tribe, and things get real! How cool is that?!?! Times: 9:30am – 5:30pm. The fee for the Roots to Tips program is $1750.00. Registration for complete program is mandatory. Registering for partial program is not an option. Please do not register if you cannot attend each and every valuable class, so that someone who can will be able to receive the valuable teaching. Roots to Tips program is an excellent weekend option for those who wish to do the 1 day a week apprenticeship programs, but are unable to carve out time during weekdays due to work schedules. The goal each month is to focus on building health, support strategies, and alleviating issues of the major body systems. Of course, there will be an emphasis on wildcrafting. 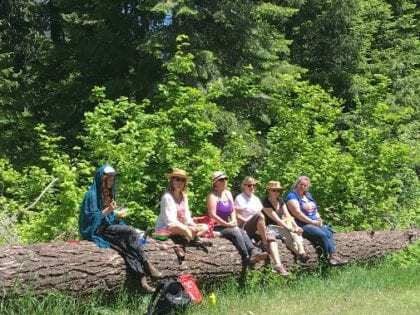 Each weekend, we will travel to amazingly beautiful herb sanctuaries for learning, harvesting, making field medicine, and soaking in the beauty that is all around. Students will play an active role in identifying and wild harvesting plants relevant to the chosen subject each month. 100% correct identification is key to harvesting wild plants safely, by identifying vascular plants in botanical Latin and colloquial terms using standard botanical identification methods and by closely observing plant identifying classifications such as leaf and flower structure, bark, growth patterns, inherent smell of the plants, and life cycles. Students will recognise and define wildcrafting within the context of legal gathering, ethics, and sustainable harvesting. Apprentices will practice the fine art of herbal medicine making and formulation, and learn why specific remedies will work better than others in certain situations. Each month, they’ll make remedies to add to their ever-growing apothecary. Students will develop problem-solving skills by discussing case studies, asking pertinent questions in order to assist in ferreting out helpful clues for the best possible health outcome. This gives experience in answering the “what is a good herb for…” question so often asked. Everywhere from deep in the woods, to the mountain tops and over the passes, in fields and urban settings, to the ocean and rivers….plants are here, vital and waiting to be introduced. They have so much to offer and are so willing to teach, heal and nourish. Students will delve into creatively using herbs in body care, meals, smudging, treats, deco, and so much more! As the months progress, plants will easily become part of daily life in ways that are beautiful, healthful, and nourishing. In addition to the curriculum, students will have the opportunity to create an herbarium. 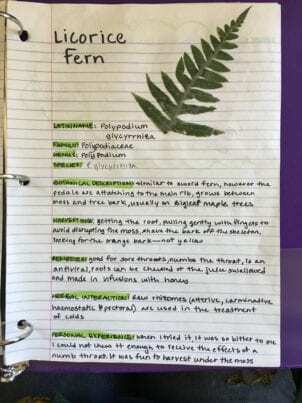 An herbarium is a valuable record of plants that is useful when harvesting, for adding to as students learn over the years, to pass down to future generations. It includes botanical and common name, habitat, description of the plant and samples, when to harvest, medicinal constituents, physiological effects, drug interactions, preparations and menstrua, tools needed to harvest, personal experiences. The program runs 95+ hours of time with the instructor. There will be hands on and short take home quizzes and projects to be fulfilled throughout the program. Students who complete all assignments and miss no more than 2 days throughout the program will receive a certificate of achievement at the end of the course. Fulfillment of the requirements for the Roots to Tips program may be applied to continuing education credits. As soon as we receive your registration for the Roots to Tips apprenticeship program, you will be added to the private classroom group site called Blackboard. I do not send out individual emails to each student. The group app is where students find out what they’ll learn each week, what to bring, post questions, take quizzes, get answers, make friends, and get tons more herbal info! Please make sure to create your student account asap so that nothing is missed and there are no surprises.